Home Off Beat	Can tattoos be termed as ‘bad’? You might wonder how anyone can mark these tattoos forever on their skins. But the fact is, no tattoo is bad, it can turn out to be a wrong decision, but it can never be termed as ‘BAD’. To understand the underlying concept one has to acquaint his whole self with the spirit tattoos hold and what that chunk of ink, doesn’t matter how bizarrely drawn, marked on skin matters for the beholder. 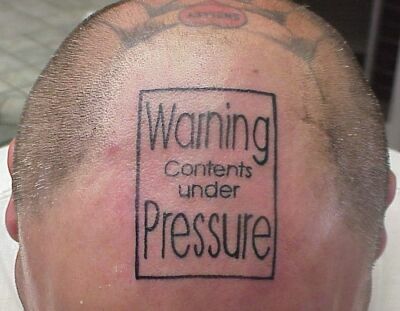 Anyway, here is a wonderful list of so called ‘bad tattoos’ complied in a really bad mood. Don’t miss the part 2 and part 3 of the collection too.